The internet has become an increasing popular guide to useful information. Gayane Mooradian, DDS, is reaching out to patients with an intuitive, patient-interactive website. Cosmetic dentist, Gayane Mooradian, DDS, has announced the launch of a new, patient-focused website created by dental website design leader, ProSites, Inc. Dr. Mooradian’s practice is utilizing the website to educate the community on the importance of oral health. The website includes a links page with informative dental resources as well as a frequently asked questions page to address common concerns on topics ranging from oral hygiene to difficult dental procedures. “The online presence has become a powerful tool for the selection process of finding a new dentist. We realize how difficult the decision can be given the fear of the dental profession in general. Having an effective profile of our services and learning more about the reliability of our services by visiting our patient testimonials page can calm those fears and reassure potential patients that they have made the right decision,” said Dr. Mooradian. The website also utilizes extensive search engine optimization techniques to reach patients and local consumers who are searching for relevant information about affordable dentistry in Santa Cruz. “The online presence has become such a powerful tool for the selection process of a new dentist that it can no longer be overlooked. You could say that our website is our “visiting card” (business card). The website offers an in-depth look into our practice, the ability to download registration forms, view before and after pictures and videos, and read patient testimonials. It enables the patient to become more interactive with their decision making process in choosing the right dentist. We hope that you give our practice a chance,” said Dr. Mooradian. Dr. Mooradian graduated from University of California, Los Angeles School of Dentistry in 1992. 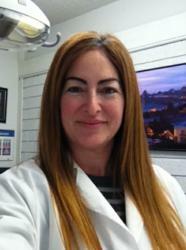 She is a member of the American Dental Association, California Dental Association, and Monterey Bay Dental Society. Dr. Mooradian acquired her dental practice in 2001 and has focused on providing high quality dental care at affordable prices for the whole family. As the sole provider of the DeltaCare USA HMO plan for the county, Dr. Mooradian provides such services as tooth extractions, dentures, and porcelain crowns and bridges in Santa Cruz. For more information on Gayane Mooradian, DDS, please visit the website at drmooradian.com.